Terry Laslo, graduated in 2005 from Naugatuck Valley Community College (NVCC) with an AS in Digital Arts/Web, and in 2007 from WCSU with a BA in Graphic Design. Starting Wingcat Web Design, LLC in 2002, she is dedicated to providing custom web sites and cohesive marketing materials to showcase small businesses. Using input from the client and her experience, the web site, email marketing, and social media products are developed to establish an on-line presence, reach the target audience, and promote the name, brand and image that the client needs. 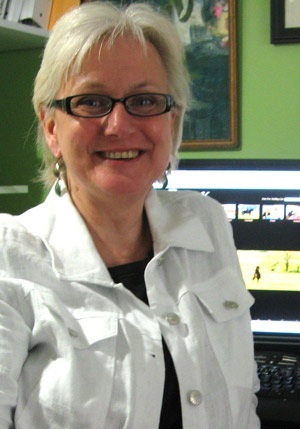 Terry designed the website for BUCK, winner of the 2011 Sundance Audience Appreciation award for documentary directed by Connecticut’s Cindy Meehl. It's opening June 17th across the country, and can be seen locally at the Bethel Cinema on July 1st. Two sites she is particularly proud of were not for clients but to raise awareness about Hawleyville, the section of Newtown where she lives. · Hawleyville Post Office. The site went up on January 24, 2009 after learning the post office was closing for good. Terry joined Ann Marie Mitchell and other neighbors in the fight to keep this post office open in Hawleyville. With the help of Congressman Murphy and others, a brand new facility opened March 15, 2010. · HEAT. The site went up in May 2009 response to the Housatonic Railroad’s expansion of an unregulated waste transfer station on top of the Pond Brook aquifer in Hawleyville. The neighborhood grassroots group’s effort has brought it to the attention of the media, DEP and State lawmakers, resulting in passage of legislation (Senate Bill 124) that protects aquifers in Connecticut. Terry has been teaching the Intro to Graphic Design class at NVCC for the past four years, and was recently presented (May 12, 2011) with an adjunct faculty award recognizing “subject matter expertise and dedication to students and commitment to NVCC”. Laslo is on the Board of Directors for the Newtown Parent Connection, Inc., a grassroots organization that addresses the problem of substance use and abuse among young people in the community, and Stony Hill Four Corners, a Hawleyville / Stony Hill business association dedicated to giving back to the community. Web design is significant in building business and in offices. It is one way of giving awareness in business strategy and improving quality.